Many of us know that mothers play an important role in nurturing a child’s life. However, few of us will agree that Fathers play an important role similar to that of mothers, through a child’s life. In fact, numerous studies has shown that children excel in their academics as well as their social interactions with peers and adults. According to Maureen Black, “We found that fathers who are involved with their children have children with fewer problems,” (Researcher and professor of Pediatrics at the University of Maryland School of Medicine). 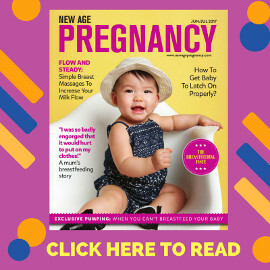 The underlying point is that father need to be equally involved like the mother in caring and raising their children so that they will grow into healthy and brilliant adults. 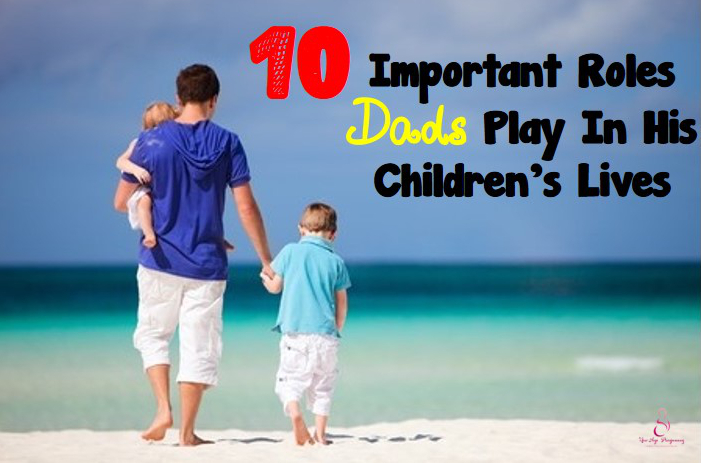 Check out these 10 important roles that Dads can play in his children’s lives. Men are different from women, they act and think differently. Mothers’ natural instinct is to nurture while the dads’ natural instinct is to protect. A dad can protect and educate their children from inexperience and impulsive mistakes, bullies, drugs and countless of criminal crimes. Most importantly, a dad protects his children by strengthening them so that they grow up knowing how they can protect and defend themselves. The main goal is not to reprimand or punish the child for every wrong behaviour or mistakes but to guide and facilitate the child to understand the world better or to help them change their behavior for the better. Dad ought to understand that we should not be raising our voices, swearing or losing control of our temper as the child may follow suit. Children usually regard their parents as their leading example or role model. Be patient and guide them slowly. The best thing a dad can do is to play and interact with his children. When dad spends quality time by being involved in their children’s play, they can build a strong emotional support and bonding. 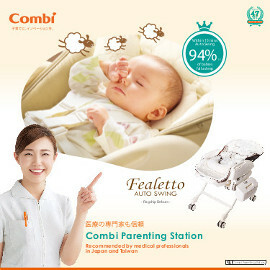 Dad also tend to play with children differently from Mom, and that can also enhance their holistic development. A child usually look up to his father and see how hard he works, how he experiences life, how he solve problems, how he handles mistakes and crisis and how he works with different people. You teach them to be brave, to be true to themselves and not hold grudges against others. You are the role model who heighten their confidence and raise them into a leader. Dad can teach their children many life-lessons. They can can empower their children with lessons about right and wrong, lessons that will build their character and imprint the right beliefs in them for the rest of their lives. Your children are likely to run to you for any kind of problems and require your help to solve them. This is your chance to guide and support them in any conflicts or struggles they have so that they will grow up to be an excellent problem solver. The right guidance mould their resiliency and lead them towards excellence, not someone who will run away when faced with a problem. Children learn best through modelling! They learn by watching how their peers and adults interact and react through their language and behavior. Therefore, it is important that Dad model the appropriate behaviour –Respect your spouse, be honest, show respect to the members of the family, parents, friends as well as the children themselves, speak in a calm tone (even when angry) and do not raise your voice and temper, use appropriate language and avoid teasing the young too frequently. When your child is feeling sad and low, you are the one that they can confide and turn to. Be there to encourage them, redirect any negative train of thought and try to build up their self-esteem. A child with high self-esteem will be ready to face any problems and challenges with an open mind and heart. Children who has high self-esteem are generally more optimistic and confident in different situation. Dad can be a positive role model to your child, guiding and encouraging them in their life as they grow. Dad’s involvement and support heightens a child’s appreciation and interests towards sports. It is a great way to build your child’s character and holistic development through sports. No doubt that it will be a great way to spend quality time together too. A healthy relationship between a daughter and a father can have a positive influence in her life from young to adulthood. Woman’s relationship with man is largely influenced by the relationship with her dad. On the other hand, the boys will usually adopt a healthier gender identity and better expression of their feelings and emotions through their relationship with their dads. The children model and pick up their dad’s behaviour and involvement with the family and adapt it as their character and attitude towards their future family. Dad plays an important role in his child’s life, be that hero that they look up to! Dad being the man of the family, usually has a special relationship with the children. It take a village to raise a child but a complete family to provide endless love and warmth, and shelter the child from harm. From today onwards, be an involved dad and the hero in your child’s life!